In astrology, the Birth Chart (also known as the Natal Chart) provides a general life reading that covers life issues such as family, health, career, travel, etc. I do what is called Evolutionary or Karmic astrology, and this also provides insight on your life lessons (karma), what you have brought from the past, and what you have chosen for this life (destiny). After analyzing your Karmic Birth Chart from an evolutionary perspective, I record a CD that focuses on a general life reading, as well as your challenges, talents, hidden potential and destiny from a karmic perspective. The Forecast Chart is for your year ahead and many clients find this very useful as a yearly gift for themselves. 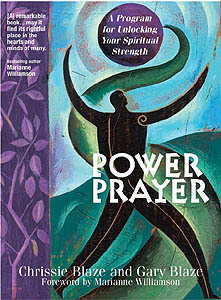 It can help you to see what is coming up in the year ahead; what best to focus on and how to make the most of the planetary trends. With the Forecast chart, I analyze your Solar Return Chart, Transits and Progressions, as well as your Numerology for the year. I focus on up to five specific questions you may have, and record my findings on CD. Generally a Karmic Birth Chart is done first, but it is not essential. However, if you are a new client and wish to have both done at the same time, there is a special reduced fee (please see below). I recommend this combination if you are a new client. 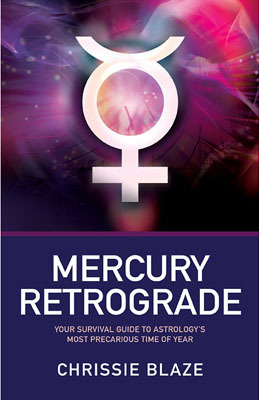 I analyze your Karmic Birth Chart, Solar Return chart, Transits, Progressions and Numerology and record the findings on a 2-CD set. This reduced fee only applies if you have both Karmic and Forecast charts done at the same time. 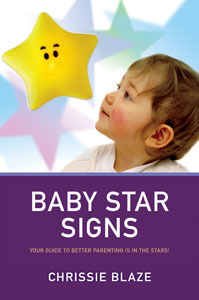 The Baby or Child Chart is similar to the Natal Chart but places a special focus on how to bring out your child's potential, and is based on original research presented by Chrissie Blaze in "The Baby's Astrologer" Warner Books, 2003. The consultation is sent in a presentation folders as a keepsake and makes an ideal gift. From $175-$250 depending upon the type of Chart. I accept payment by check or PayPal in US Dollars. All fees include shipping and handling. Please e-mail me to schedule a consultation. Thanks for your interest. "I recieved your tape. I know you must hear this all the time, but I am amazed by your insight. Besides having incredible talent you also come across as an extremely compassionate woman, and that touched me deeply. Thank you for sharing your time and vision with me." 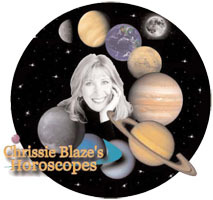 "A big thank- you for your very insightful astrology reading; your accuracy was amazing!" "I was astounded by the accuracy of your reading. I expected to hear generalizations but it didn't happen. It was thorough "soul-print." Your ability is a joy and a beacon to me." 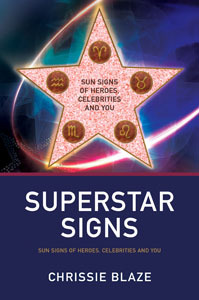 "I ordered your Natal Chart as a birthday gift for myself and it was one of the best and most useful gifts ever. I especially enjoyed the cassette which was so comprehensive. I listened to it many times during the year. It really helped me work through some important relationship and life-direction decisions." 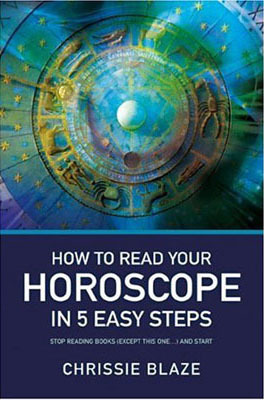 "I received my tape of the interpretation of my natal chart today. Thank you so very much! You have exceptional talent! Everything you said resonated with me, so much so my body was vibrating as I listened. You have a beautiful gift for languaging the essence and detail in a chart, you knew me so well it amazed me. It's like you looked into my very soul, read my thoughts, and could convey my heart's desires. You are truly blessed with the gift of interpretation."